If you are interested in making video games and have no idea as for where to start from, keep reading. By the end of this article you will have a round view of how a certain game is made and or how you can begin making games on your own. This article is a part of my personal performance report since I am also in the learning phase of game development. I did my research on various methods of game development, made a few small demo games which were pretty lame and now I am moving forward to develop better games. 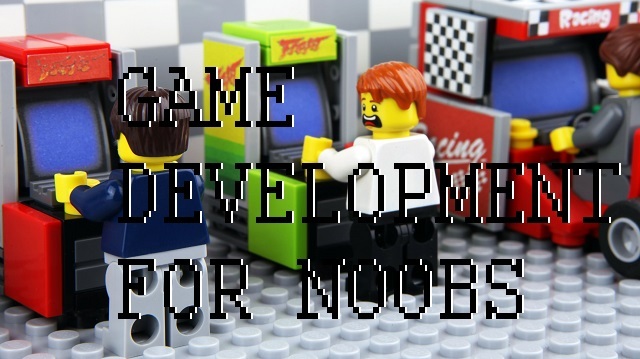 Let's discuss some prerequisites for game development. 2. Game development Software and the Internet of course. 3. Idea for a game (pretty useless for now). 4. Ability to handle creativity drought and a reason to move forward. Let's cover every thing point by point. This is really necessary and reason is pretty obvious. Now the power of the computer will greatly affect what you can do. But since we are in the beginners phase we need not have a really powerful PC. Let's say a PC which can run DOTA2 or CS:GO would be enough to handle everything for now. In fact if you were to build an HTML5 game even lighter systems would do. This is where most of the confusion starts. Why? It's because there are just way too many different kinds of game development IDEs out there, This tend to confuse a mere beginner for what is right for them and what is easy. Let me clear the confusion out for you. There is no such thing as easy in Game Development. Easy would be to make a lame game with little to no objective in it. But is that what you really want to make in the long run? Of course for a beginner it is okay to make some lame game but if you really want to learn making some cool games you have to be prepared for brain block puzzles and learn to code. This is absolute necessity. If you cannot code, you atleast need somebody to guide you through when it hits you. My advice is to stick with Unity. It has the capablity to handle 2D games as well now. It's way too extensive and you can easily find tutorials for it. 3. Idea for a game. I call it something useless because it is useless. If you are new to game development just write down your idea somewhere and drop it from your head. Why? Because that's not how things work. When learning you should carry a free mind and open approach to the new things you come across rather than imposing your ideas on something. I'm not saying your ideas are entirely useless, but they are for now. It's better to keep them safe and try implementing them when you have learnt something. 4. You need a reason. Yep, I distinctly remember having started to make a game when I was in high school. I used some software called Adventure maker. Pretty soon I dropped the idea and moved on. This time, I dropped off from a job to make games with my friend. I think about quitting everyday, then I drop the idea again and again. Let's hope things work out soon. This company is currently giving GameFly a run for its money, with over 2,500 visitors subscribing to the service monthly.